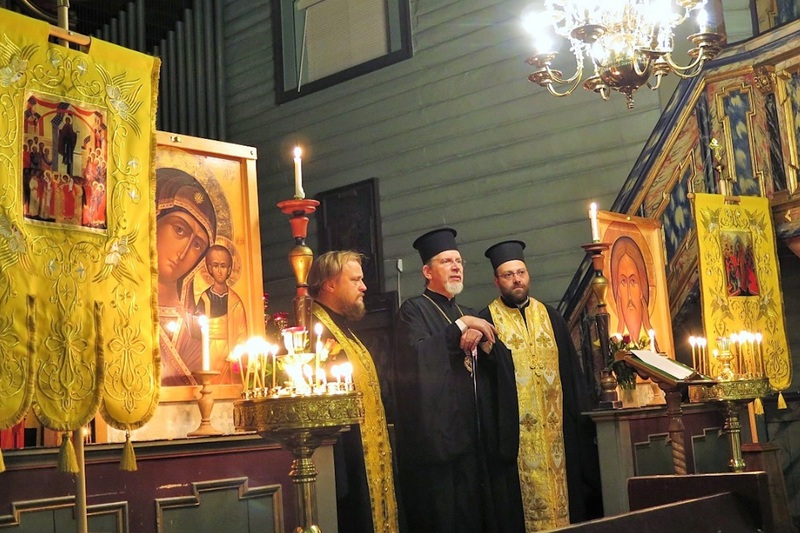 The Greek Orthodox Metropolis of Sweden established a new parish in the Norwegian city of Bergen, named after St. Chrysostomos of Smyrna, who was the Metropolitan of the historic that was burned by the Turks in 1922. Metropolitan Cleopas of Sweden and All Scandinavia made his first official visit to Bergen during the weekend of October 28-29, 2017 to preside over the establishment of the parish of the Holy and Glorious Holy Martyr Chrysostom of Smyrna. The entire country’s Greek community is estimated to be about 2,000 people, up in recent years with the arrival of Greeks fleeing their country’s financial crisis. Following the conclusion of the Divine Liturgy, Metropolitan Cleopas spoke of the formation of the new parish of St. Chrysostom Metropolitan of Smyrna the Holy Martyr. In his sermon, He pointed out the reasons that inspired him to dedicate the new parish to the memory of the martyred St. Chrysostom, placing special emphasis on the mentality of the Christian struggle, unwavering faith, and forbearance present in the martyrdom of this modern-day saint – virtues which should inspire all Christians. The Metropolitan also spoke about the unforgettable homelands of Asia Minor, from where he himself hails from his father’s lineage. Metropolitan Cleopas expressed his enthusiasm and how touched he was over the presence of so many Greek Orthodox faithful in the church – many of whom traveled for hours together with their families to attend the service, while also praising the tireless pastoral care exhibited by Fr. Alexander Loukatos, who is visiting Bergen to celebrate holy services for the fifth time.